The chief executive of British Airways has apologised for what he has called a very sophisticated breach of the firm’s security systems. Alex Cruz told the BBC that hackers carried out a “sophisticated, malicious criminal attack” on its website. About 380,000 transactions were affected, but the stolen data did not include travel or passport details. BA said the breach took place between 22:58 BST on 21 August and 21:45 BST on 5 September. Mr Cruz told the BBC’s Today programme: “We’re extremely sorry. I know that it is causing concern to some of our customers, particularly those customers that made transactions over BA.com and app. “We discovered that something had happened but we didn’t know what it was [on Wednesday evening]. So overnight, teams were trying to figure out the extent of the attack. 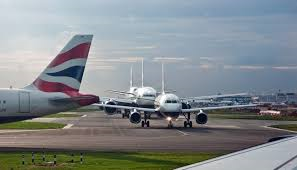 BA said all customers affected by the breach had been contacted on Thursday night. The breach only affects people who bought tickets during the timeframe provided by BA, and not on other occasions. The airline has taken out adverts apologising for the breach in Friday’s newspapers. The BBC will be giving away mini-computers to 11-year-olds across the country as part of its push to make the UK more digital. One million Micro Bits, a stripped-down computer similar to a Raspberry Pi, will be given to all pupils starting secondary school in the autumn term. The BBC is also launching a season of coding-based programmes and activities. It will include a new drama based on Grand Theft Auto and a documentary on Bletchley Park. The initiative is part of a wider push to increase digital skills among young people and help to fill the digital skills gap. The UK is facing a significant skills shortage, with 1.4 million “digital professionals” estimated to be needed over the next five years. It is hoped that the Micro Bit will encourage children to get involved in coding and programming. The BBC Micro, launched in the 1980s, played a big role in making computing mainstream but it was not without controversy. The broadcaster’s decision to link up with Acorn Computers angered Sir Clive Sinclair as he prepared to launch a rival machine, the ZX Spectrum. The BBC does not see Micro Bit as a rival to similar computing devices such as Raspberry Pi, Arduino, Galileo and Kano, but rather hopes it will act as a “springboard” to these more complex machines. The tiny programmable machine is still a prototype and the BBC is working with several partners, including chip-designer Arm, Microsoft and Samsung, to get the end product right. When it launches in September it will be compatible with three coding languages – Touch Develop, Python and C++. The device is tiny – fitting easily into the palm of a hand. Children will be able to create text via a series of LED lights and they will also be able to use it to create basic games. The final version will have a Bluetooth link enabling it to be hooked up to other devices such as a Raspberry Pi. The Raspberry Pi Foundation is helping to develop learning resources for it and the BBC is being careful not to repeat the mistakes of the BBC Microcomputer launch, which angered rivals such as Sinclair. BBC Learning’s Gareth Stockdale, who is developing the device, said: “The BBC’s role is to bring focus to the issue, and then we will withdraw from the market.” After the first million Micro Bits go out to schools, there will be no more. One day they might become a museum piece like the BBC Micro, which is now housed at the National Museum of Computing at Bletchley. As part of its Make it Digital programme, the BBC has also launched an apprenticeship scheme for 5,000 young unemployed people to boost their digital skills. The scheme is the first of its kind to be developed in partnership with the Department for Work and Pensions. Radio 1, which is closely involved in the initiative, will offer top-performing trainees the opportunity to go on to an apprenticeship at the station. The nine-week traineeship, which will include training from the BBC Academy, aims to teach basic digital skills such as creating websites and short videos for the web. The BBC is also drawing on its vast vault of content to bring digital content into shows such as Doctor Who, EastEnders and the One Show. Radio 4 will have a series of programmes that look at the history of coding, digital content and future technologies. “With a dedicated season of programming on the BBC, 5,000 digital trainees, one million children who take their first steps with a Micro Bit, and a host of educational activity, we hope to inspire a new generation to get creative with digital,” said Jessica Cecil, controller of Make it Digital.